Today I’d like to talk about Metroid: Other M, a game that’s being made through a collaboration between TECMO1, the movie production team led by Kitaura-san, and Nintendo. Thank you for coming, everyone. 1 TECMO is a video game company, established in 1967. As a subsidiary of TECMO KOEI GAMES CO., LTD., which is responsible for game software projects within the TECMO KOEI group, TECMO is currently in charge of areas such as game development. Now then, let’s have some introductions. We’ll start with you, Sakamoto-san. I’m Sakamoto from Nintendo. I made the initial plans for this project, and have been co-operating with TECMO on the gameplay aspects and Kitaura-san on the movie aspects of the game during its development. Of the two, I’d say there is more work for me on the movie side this time. For example, as development progresses, we have to take great care with everything from choosing the characters’ lines to compiling the sample movies so that the gameplay and the movies are seamlessly integrated. This to ensure that the style that we aimed for with Other M works out smoothly as a game. All right then Hayashi-san and Kitaura-san. Would you introduce yourselves now, please? Of course. 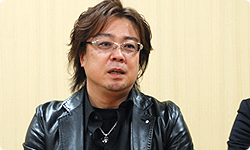 I’m Hayashi, from TECMO, LTD. I’m the team leader of Team NINJA2. Sakamoto-san asked me to do this project, and I became the director for Metroid: Other M. 2 Team NINJA is a development team within TECMO. Titles they have developed include the Dead or Alive and Ninja Gaiden action game series. I’m Kitaura, representing D-Rockets co., ltd.3 I mainly work as a director of TV commercials, but I also make in-game movies for Tecmo, and I’m working on this project as the director of the entire movie portion. Thank you for inviting me here today. 3 D-Rockets co., ltd. is a creative unit that produce cinematic content such as CG for commercials, video games, promotional videos and so on. They were established in 2008. Thank you all very much. Now then, I’m sure many people out there have the impression that Tecmo’s Team NINJA and Nintendo are as different as any two video game companies can be. What’s the story behind you asking Team NINJA to come on board as your development partners in the first place, Sakamoto-san? When I was first thinking of the plans for this Metroid game, there were things that I found difficult to get people within Nintendo to understand. I think my ideas sounded outrageous, or seemed to be pipedreams. Things like wanting to create a steady 3D space, despite the player scrolling horizontally to progress through it, or wanting to have super-long movies, but having them seamlessly integrated with the plot so that the player follows the story while playing. I did think it was hard for people to understand such things when I mentioned them. When Nintendo makes games, we usually start by creating the game systems and features, rather than the story or the appearance of the world. This time, however, because you wanted to present the story first, people initially found it difficult to understand the order of your approach. Is that right? I think so, yes. That’s why there was a period when I backed away from that approach myself. During that time, as I wondered ‘How am I going to hammer this into shape?’, I thought I’d try having a meeting with Team NINJA, since I’d been playing Ninja Gaiden4, and it had really changed my impression of 3D games. 4 Ninja Gaiden is a ninja action adventure developed by Team NINJA and published by TECMO. It was released in Japan in March 2004. In what way did your impression of 3D games change? Even though the game was very much focused on motion, the controls were simple, and it was actually really comfortable to play. I therefore thought that a team who could create such a game could also make the game I was thinking of a reality. 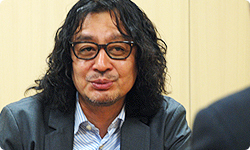 And when you actually met Hayashi-san, how was it? (laughs) You really are young, though, aren’t you? I’m twenty years younger than Sakamoto-san. He may be twenty years younger than me, but when I actually met him and talked to him, I really felt he had the spirit of an old-school video game maker. I could see that he always puts himself in the player’s position, and always thinks seriously of ways to make the playing experience more enjoyable. And Hayashi-san? How was it for you to meet Sakamoto-san? 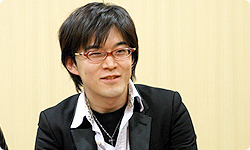 First off, Sakamoto-san said ‘I want to create a Metroid that can be played with just one Wii Remote’. I didn’t really understand what he meant. Just being approached regarding the development of a Metroid game must have been a shock for you, Hayashi-san, but to then be told ‘I want to make it playable with just one Wii Remote’... It must have made no sense at first. That’s right. When I listened carefully to what Sakamoto-san had to say, though, I realised that he wanted to create an action game that would appeal to modern players, and that he wanted to do it using simple controls. We’ve always made action games, but we inevitably end up thinking of game designs that use every available button. So although the player can do more things, there’s a tendency for the game’s controls to become more complicated. What Sakamoto-san had in mind, however, was to make the controls as simple as those of a NES game. When I asked Sakamoto-san ‘So it’s ‘a NES game with the latest technology’, right?’ he replied ‘That’s exactly what it is’. Hayashi-san understood what I was saying almost immediately. What’s more, he was really familiar with Samus and the Metroid games, so I thought ‘Samus will be all right in this guy’s hands’. Of course, lots of other Team NINJA members apart from me had played the 2D action Metroid games when they were first launched, and I think that’s why they could catch on quickly too. Even when we entered into discussions about the exact game specifications, we were able to share ideas with relative ease. Furthermore, we had various fixations, or philosophies, regarding Metroid from an action game maker’s point of view. That’s why the challenge of making ‘a NES game with the latest technology’ in the Metroid style was really interesting for us, and we considered this project a really great opportunity. So you didn’t feel that Sakamoto-san’s idea was a pipedream, Hayashi-san? No, I didn’t think that was the case at all. All right. I’ve got some questions for Kitaura-san as well. How did you feel when you were first asked to work on the development of a Nintendo software title? ‘Huh?! Are you joking? !’ – Something like that. So Nintendo and TECMO was an implausible combination for you, Kitaura-san? Yes, because the images I had of the two companies were the exact opposite. 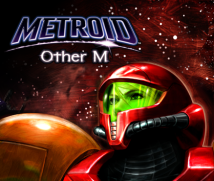 As a result, I felt very strange as I looked at the Metroid: Other M scenario. I remember thinking ‘this is overwhelming...’. What kind of things did you think were overwhelming? Just the amount of material was overwhelming, of course. What’s more, all the work we’d done before this project had aimed for high-quality CG, not really related to video game content. For this project, however, we were requested to make the parts of the game that the player controls the same quality as the movies, in order to make them seamless. 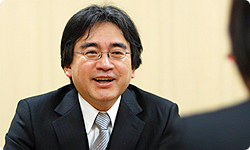 Furthermore, Sakamoto-san said that ‘In this game, I want to depict the emotions of a woman called Samus’. The way we’d been working previously, it would have been impossible for us to depict a woman’s world. As a result, we pretty much stopped working on making commercials, which was our main business, and decided to focus only on this project. You could say that I ‘dove in’ as well – just like Sakamoto-san (laughs).